Captain Phillip Criss of Scottsboro, Alabama, has been a more-than-two-decade fishing buddy of John’s for both bass and crappie. 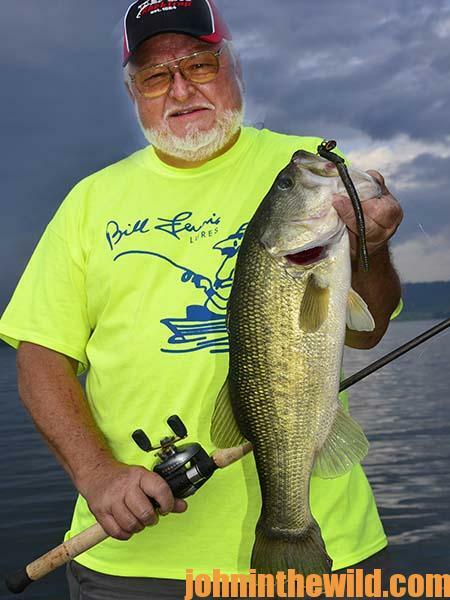 John’s Note: Captain Phillip Criss of Scottsboro, Alabama, has been a more-than-two-decade fishing buddy of mine for both bass and crappie – first at Miller’s Ferry and now at Lake Guntersville (www.guntersvilleal.org) on the Tennessee River in north Alabama. Anglers across the South know of Criss’s bass-fishing expertise, and since he retired from his day job to Guntersville to guide and fish, I’ve wanted to go fishing with him. In mid-July, I finally had the chance. With only 2 hours before dark, we raced down Lake Guntersville and started fishing about 150 yards from shore. “There’s an old roadbed that comes up to about 8 feet on top and drops off to about 16 feet on either side of the roadbed,” Criss explained. The only shaky head worms I ever had fished before were pencil-thin, straight-tail worms – each with a ballhead jig to make the worm stand up on the bottom. The shaky head that Criss rigged up for me was a really weird-looking Zoom Magnum black Trick Worm (www.zoombait.com) on a No. 5/0 hook and 20-pound-test line. The eye of the hook went through a second eye that held a 1-ounce Gene Larew HardHead football head jig (www.genelarew.com). I could cast the bait out a long way. Within the first five casts with this crazy-looking shaky head worm, I got a strike. I set the hook and fought a 6-pound largemouth to within 10 yards of the boat. Then the bass went airborne and threw my shaky head worm. Five minutes later, using the same worm, I caught and boated another 6 pounder. Before dark, Criss and I had eight bass in the boat that weighed from 3-1/2- to 6-pounds. Criss has been bass fishing since he was 12-years old. Originally, he started guiding on the Alabama River near Gee’s Bend – Miller’s Ferry. He’s been fishing Guntersville Lake for 12 to 15 years. When he retired, he moved to Guntersville. 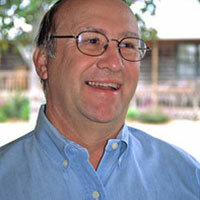 Within a very short time, he’s established himself as one of the best bass guides on the lake. 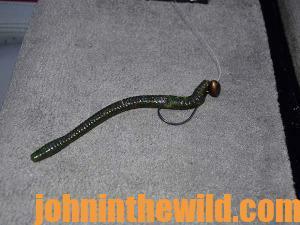 The shaky head that Criss rigged up for me was a really weird-looking Zoom Magnum black Trick Worm on a No. 5/0 hook and 20-pound-test line. 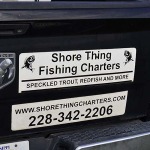 “My wife and I moved to Guntersville, because of the quality of bass we can catch and the size of the lake. I don’t know of any other place I’ve ever fished that I consistently can catch 4- or 5-pound bass every day I fish. On an average day with two clients, the best five bass we’ll catch for the day will weigh around 25 pounds – that’s a 5-pound average. We’ve even had days when our best five would weigh 30 to 35 pounds. I’ve had several days when I’ve caught and released over 100 bass in one day. 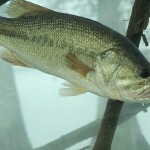 On an average day, we expect to catch and release 20 to 40 bass. Our fish will usually run from 3 pounds up to about 7-1/2-pounds or bigger. 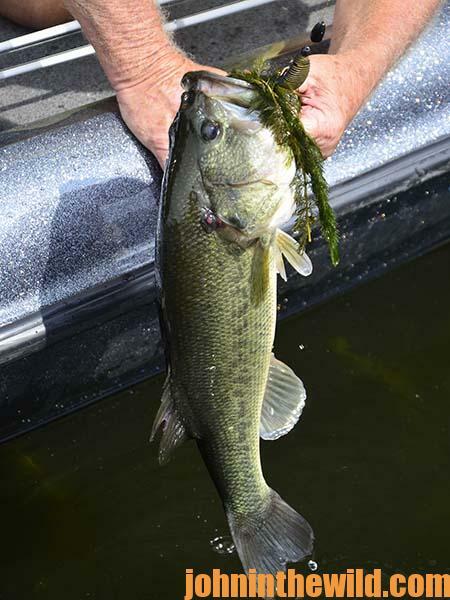 And, there’s plenty of 10-pound-bass plus at Guntersville, but we don’t catch them every day. “From the end of July, through about the middle of October, we’ll primarily fish this big shaky head worm on the football head jig, and I like from 1/2-ounce up to 1-1/4-ounce jig heads. I’ll use the bigger jig head if I’m fishing on the main river ledge, and there’s a lot of current coming through the lake. 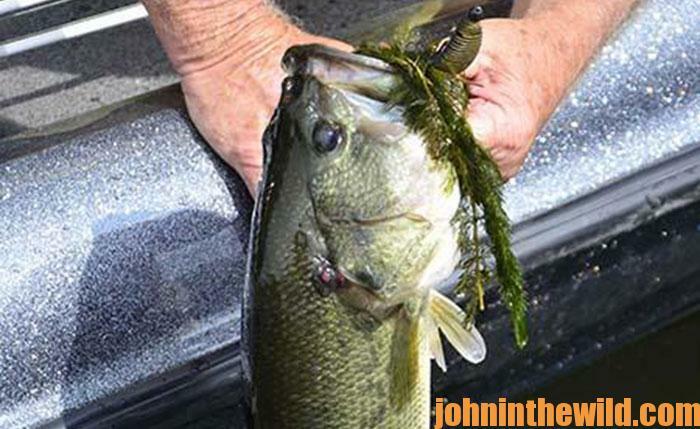 The football head jig is a Gene Larew HardHead jig. It isn’t attached to the hook. There’s a metal loop on the end of the football head, and the eye of the hook runs through the metal loop. So, the Zoom Magnum Trick Worm moves independently of the lead head. I’ve really fallen in love with this trick worm that’s 8- to 12-inches long. I particularly like green-pumpkin and the watermelon-candy colors. “The worm you’ve caught all your fish on is watermelon-candy and is a worm with a somewhat bigger tail. This worm isn’t designed to be fished on the bottom. 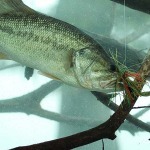 Most trick worms are used like twitch baits. You twitch them along the surface of the water. The worm sinks very slowly, so you can let it fall into cover and then twitch it up out of cover. 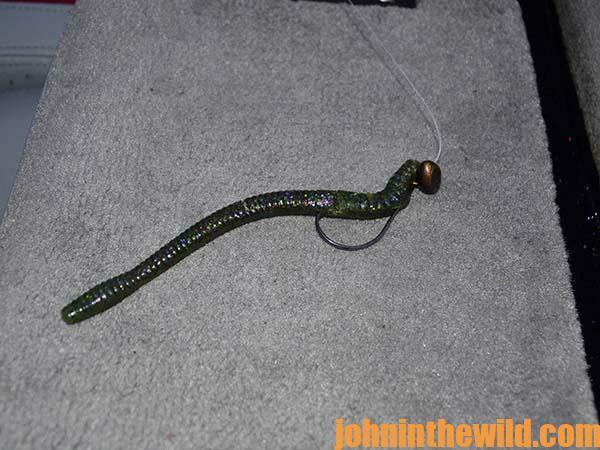 This Magnum Trick Worm has a lot of buoyancy, and it’ll float up off the bottom. I dye the tails chartreuse. If any current is coming through the lake, the current gives the worm the action and the worm will wiggle and flop around like a live worm. 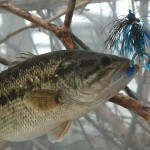 The right combination of lures and skill will land you a big bass on Lake Guntersville. 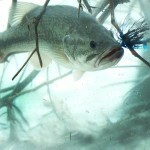 Here’s the reason I missed the first 6-pound bass that took my shaky head worm. To contact Captain Phillip Criss about fishing Lake Guntersville, call him at 205-461-5549, or email him at pdcriss@hotmail.com.